Xlnt Tint of Mid Atlantic, a premium Window Film supplier in Owings Maryland, was contracted to install Huper Optik Ceramic 50 window film to this Upscale Hotel, after guests complained of excessive heat in the breakfast area. Huper Optik Ceramics were chosen due to their superior clarity and their ability to reject Infrared Heat. 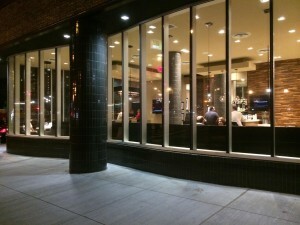 Ceramic Window Films are the “CLEAR” choice for storefronts and guest areas. Call Xlnt Tint at 410-257-5511 for more information.